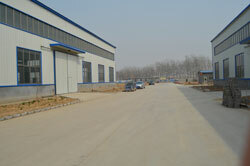 Located in Cangzhou Xianxian development zone,Hebei Province, China, covered with 28771 square meters, with building area 7848 square meter, we are State- focused high technique enterprise that develop and manufacture the CNC Transformer core cutting machine ,C.R.G.O.Cutting machine,Silicon steel cut to length line, CRGO lamination cut to length device,transformer unicore cutting machine, CRGO slitting machine etc. The transformer core cutting machine also called silicon steel cut to length machine functions to cut the CRGO/silicon steel laminations, V-notches, 90&45, any degree mitered, single or multi-holing, punching, step lab design, and customize different shape according to drawings for the transformer, reactor and electrical industry. The CRGO cut to length lines/silicon steel cut to length line are easily be operated, adopted Delta servo system plus Delta PLC professional module, in Chinese and English man-machine interface. The operator can correct the parameter, select lamination shape, through touching the screen. Full servo motors are adopted with inverter control, with high accuracy, high speed, low noise, and long work life and similar with international Georg lines. Low price: the price of the company's equipment compared to similar products lower than the average price of 30% -40%. 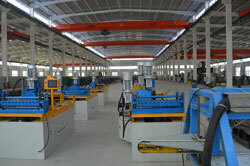 Full automation: No need workers just set the programs, conveyor belt and separate the material rack, automatically. The introduction of our transformer core cutting manufacturers, productivity is much higher, with low noise and lone work life. We have 1060 process center two sets,7740 wire cutting center two sets, CNC milling machine three sets, CNC Lathes four sets, Cylindrical grinder two sets, CNC flame cutting machine, Belt type sawing machine two sets, Drilling machine, Planer, CAXA professional drawing talent five persons.